Son of James Ferguson, a Scot, who brought his family to Bolton while Fergus was a child. General Practitioner with premises in Acresfield in 1841, 19 Mawdsley Street 1881. His elder brother, Dr John Ferguson supported him financially while he studied to be a doctor and when John died aged 42 he in turn supported his brother's widow (who was also his wife's sister) and six children. Alderman for Exchange Ward 1856-74 - never sat as a Councillor. Appointed Magistrate on 16 January 1869. He was Chairman of the Sanitary Committee from 1858 and Chairman of the Streets Committee from 1863. He worked tirelessly to bring about improvements to sanitation and drainage in Bolton, delivering a lecture in 1863 at Holy Trinity Working Men's Institute on "Sanitary Reform and its Results". 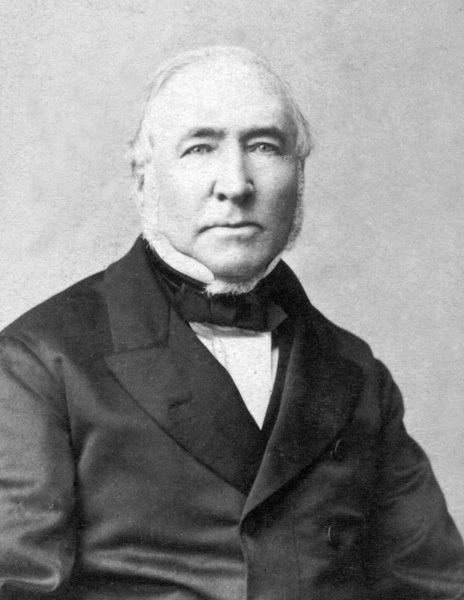 He opposed the extension to Bolton Gas Works on health grounds as it was opposite Queen's Park. Although a great supporter of parks and recreation grounds he strenuously opposed the opening of parks and refreshment pavilions on Sundays . His interest in sanitary conditions led him to instigate the closing of all cellar dwellings and by 1860 66% had been dealt with. In July 1863 he instigated the cleaning and paving of the River Croal. He fought a long and finally successful battle to have a full time Medical Officer of Health for the Borough appointed at an annual salary of £200. As Certifying Surgeon for Bolton under the Factory Acts he thought that children should be weighed to ensure their fitness before they were allowed to work as half-timers. 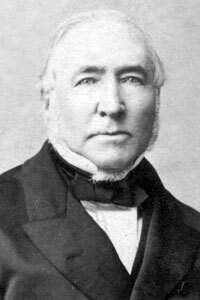 He was an advocate of non-denominational education generally and particularly technical education via the Mechanics Institute and Sunnyside Institute. He was Trustee of Dr Chadwick's Charity and laid the cornerstone of Chadwick's Children's Ward at the New Infirmary on 30 August 1879. An enthusiastic exponent of the benevolence of the British Empire he "hoped to live to see the day when all legislation in India would be based on Christian principles." Wesleyan Methodist - he was Trustee of the Wesleyan Chapel, Bradshawgate and was instrumental in the room below being used as a school - known as 'the Doctor's Room'. He was a strong supporter of the temperance movement, lecturing on the evils of alcohol and the excessive use of tobacco and of keeping the sanctity of Sunday as it was the only day off for working men. Portrait of Dr Fergus Ferguson. 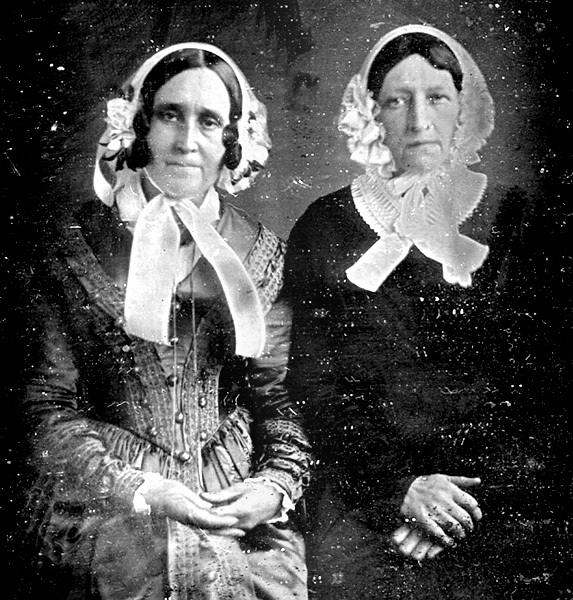 Portrait of sisters Mary and Ellen Ferguson (née Stuart). Fergus Ferguson married Ellen Stuart (right) while his elder brother Dr John Ferguson married Mary Stuart (left). 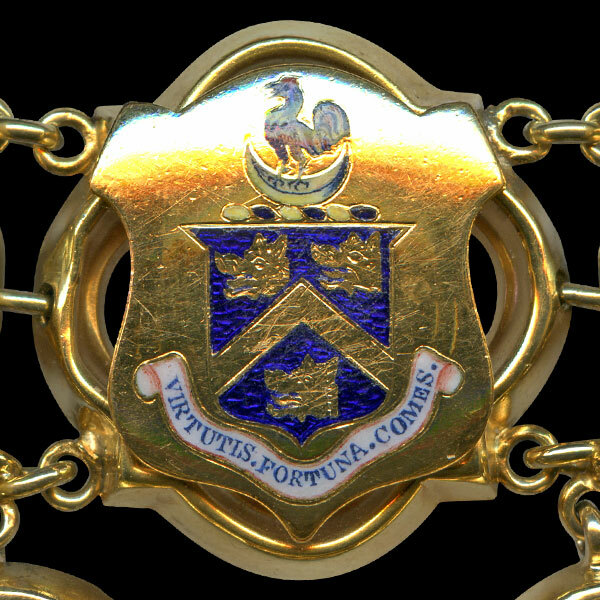 Fergus Ferguson's link on the Mayor of Bolton's Chain of Office. Azure a chevron between three boars' heads couped or. Crest - On a wreath argent and sable a cockerel proper within a crescent argent.